My new favorite side dish – these Delicata Squash Fries are highly addicting and a great way to get your veggies in on the 21 Day Fix! This post contains affiliate links for products I’m obsessed with. Remember last year when I was gushing over Acorn Squash and I had you all running to the nearest farm stand to get in on the goods? Well, meet my newest squash obsession. Seriously, where has this been my whole life? Have you all known about this delicata deliciousness and been holding out on me? Because I am pretty sure this squash is everything I ever wanted. Let’s forget for a moment these fries taste like a lower carb sweet potato fry, so good that my husband couldn’t stop eating them. Instead, let’s talk about how easy it is to work with a delicata because you can eat the skin. That’s right, friends. You don’t need to peel this beauty. Just cut it in half, remove the seeds, and cut it into slices. And look how gorgeous and decorative the edges are? It’s not hard to slice either – it’s again, similar to a sweet potato…definitely not as hard as a butternut squash, so do not be afraid, friends. I like to spray my fries with some avocado oil and sprinkle them with sea or Himalayan salt, and garlic powder. 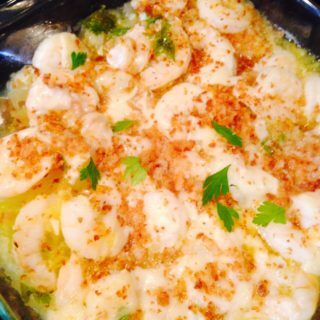 I also love them with some parmesan when I’m not watching my dairy. 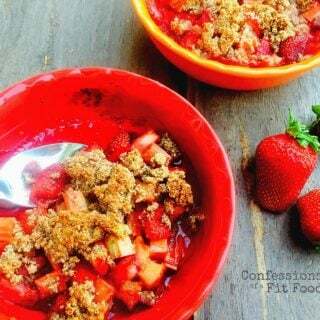 They would also be delish with some cinnamon and coconut oil and a little drizzle of maple syrup! Basically you can spice these suckers up however you want! 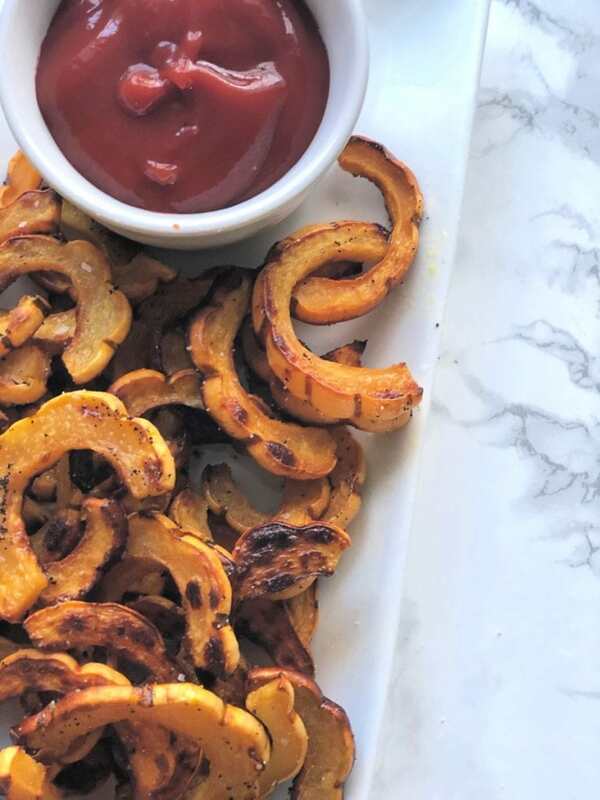 Serve them with your fav dipping sauce – some 21 Day Fix Ranch, some 21 Day Fix BBQ Sauce, this amazing honey sweetened Paleo ketchup that you can get on Amazon or at Whole Foods, or, even better, make this easy homemade version from The Foodie and The Fix. I love adding a little sriracha to my ketchup for some kick! Before we get to the recipe, here are some FAQs about Delicata Squash! 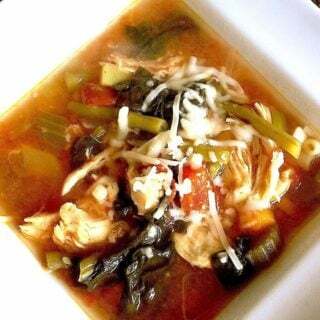 What does Delicata Squash count as for the 21 Day Fix? Delicata squash is a green for the 21 Day Fix! Just measure 1 cup of Delicata Squash Fries for your serving! It’s the same for Liift 4 and 80 Day Obsession! What does Delicata Squash count as for the 2B Mindset? 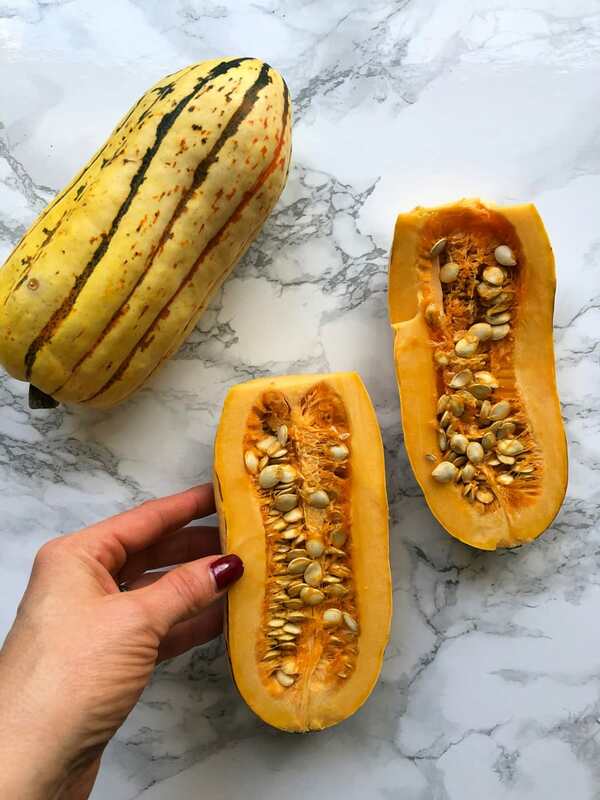 The jury is out on this one…when looking at the nutrition facts, Delicata squash comes just under Ilana’s veggie/FFC line, so you could try tracking it as a veggie (this is what I would do! ), but if you aren’t seeing the results you want or if you are looking to lose a lot of weight, I would maybe count it as an FFC to be safe. 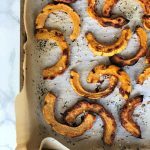 Where can I buy Delicata Squash? If you have trouble finding delicata squash at your grocery store, try some of your area farm markets or Trader Joe’s if you have one nearby! Can I freeze Delicata Squash? Yes! 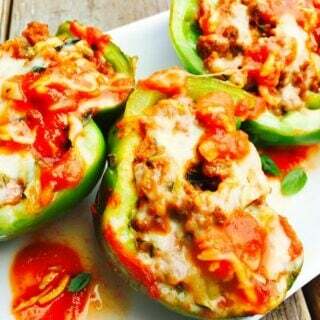 Just slice it raw and freeze before cooking! And no need to thaw before roasting, either – you can roast right from frozen! 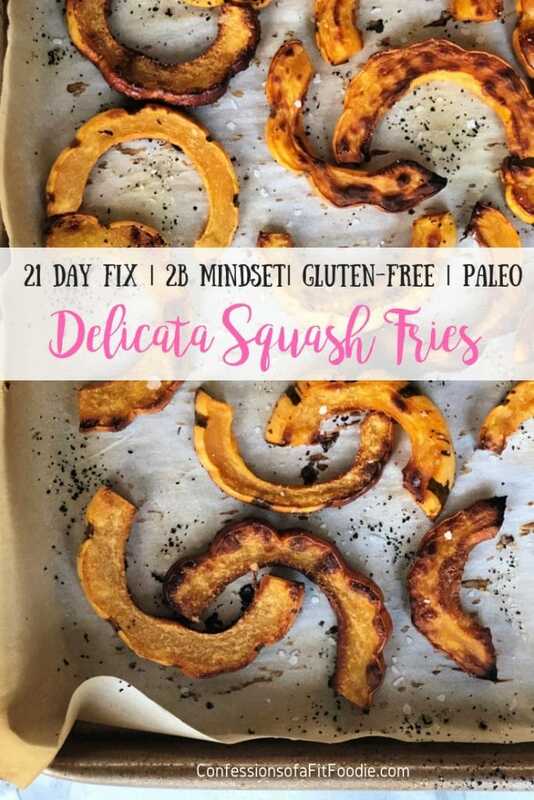 My new favorite side dish – these Delicata Squash Fries are highly addicting and a great way to get your veggies in on the 21 Day Fix! 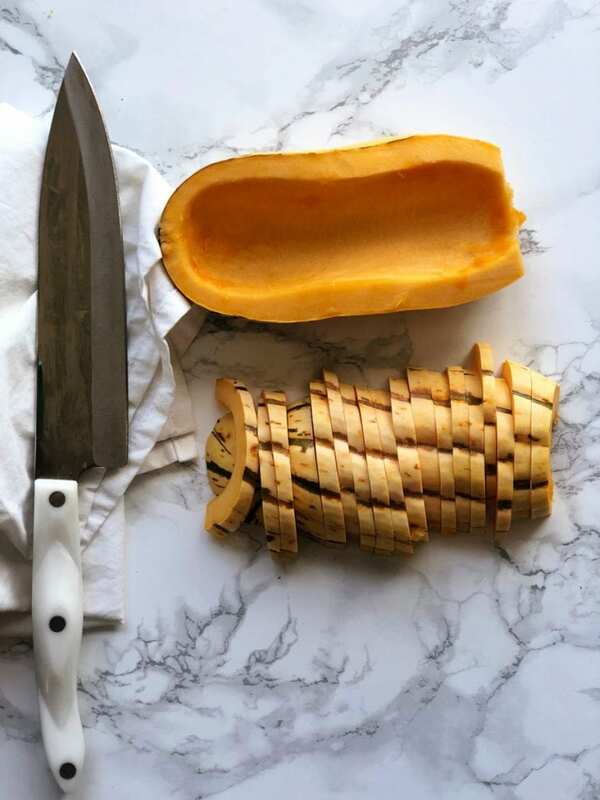 Slice your delicata squash in half lengthwise and remove seeds using a spoon. Then slice into thin half moons – the thinner the slice, the crispier your squash will be. 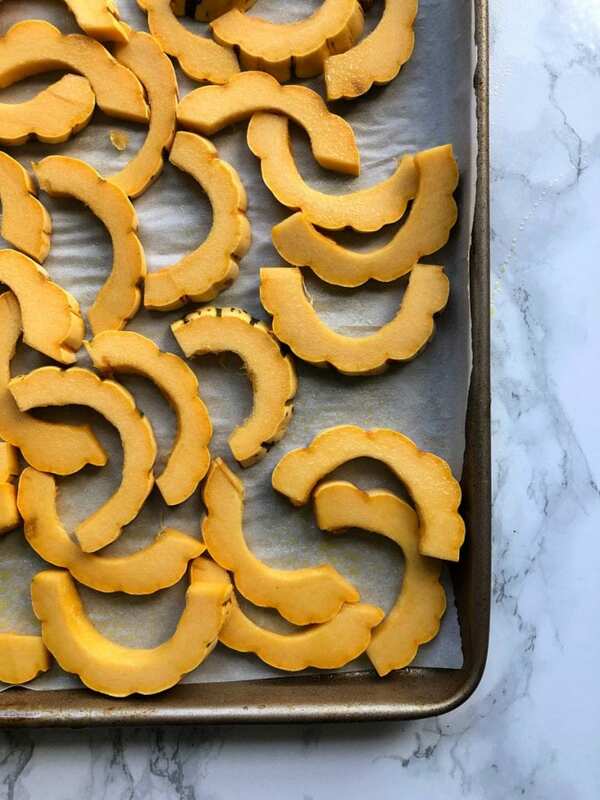 Arrange squash slices onto your baking sheet in a single layer. Spray generously with cooking oil spray then sprinkle on your desired seasonings. 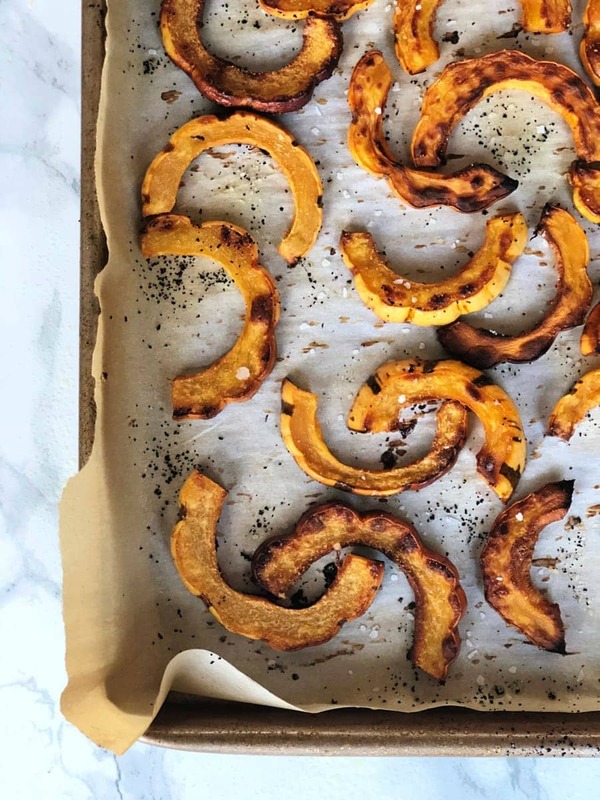 Roast for 30 – 40 minutes, turning squash fries halfway, if desired (sometimes I forget and they are still fine). The closer to 40 minutes you go, the crispier your squash will be. I like them right when the edges start to almost burn! So check on them and roast to your desired texture. Enjoy alone or with your favorite FIX approved sauce! what are the colors you talk about? Hi Jill! 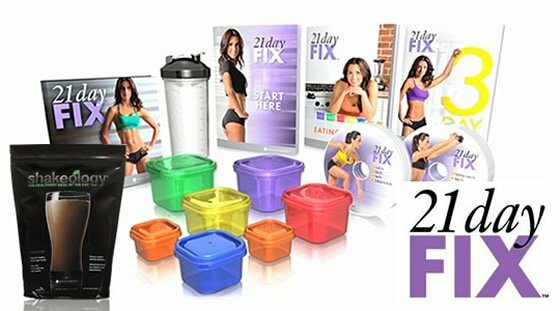 Many of my followers use the 21 Day Fix, which uses color coded containers for portion control and weight loss. But you don’t have to be following the Fix to enjoy my recipes. Do you eat the outer peel then? Oh geez, nevermind Nancylynn! 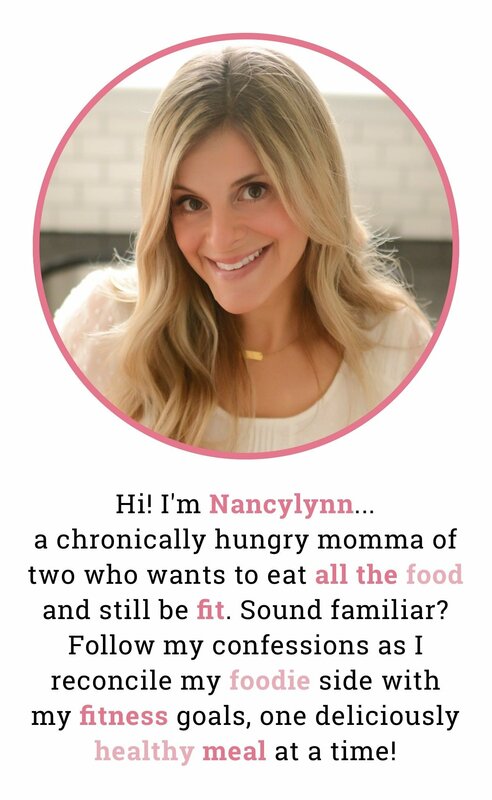 I reread your post and saw that you wrote “you can eat the skin”. Oops! No worries!!! I hope you enjoy this! !